​Better experience for your customers. ​There is no obligation for having a conversation. If you're ready to switch to a premier Internet solution, one that is local to Blacksburg and offers superior customer service, let's have a conversation. Complete the form here and we'll be in touch right away. 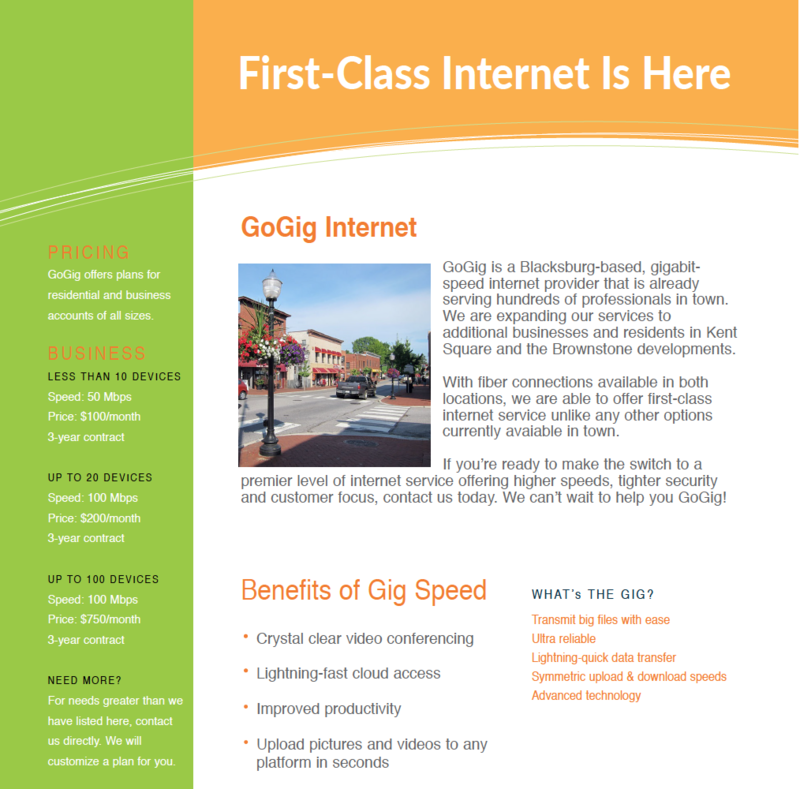 For more information about GoGig and our First-Class Internet service, check out the graphic below. Baseline pricing information is available, however we can tailor a package and price to your specific needs.